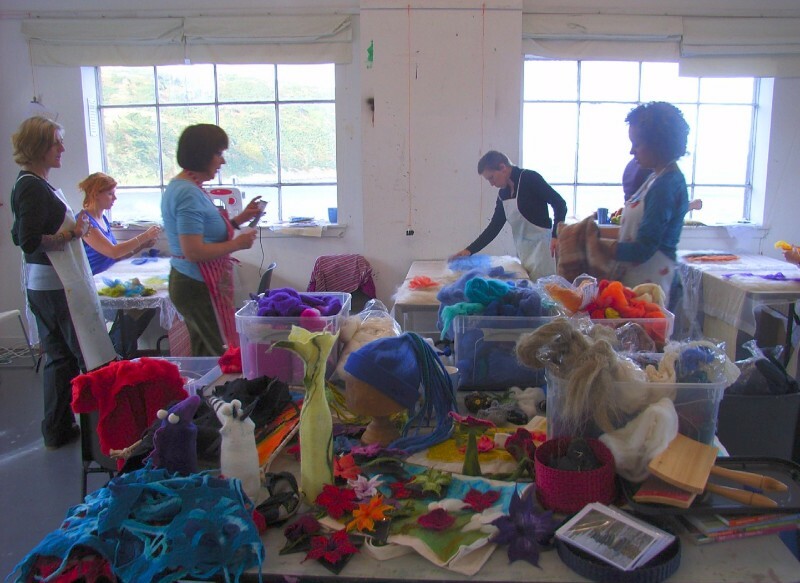 The Creative Retreat offers residential art holidays based in our wonderful High St Studio that overlooks Gamrie Bay. The programme varies annually and is suitable for beginners through to experienced, with all materials and tuition included in the cost. 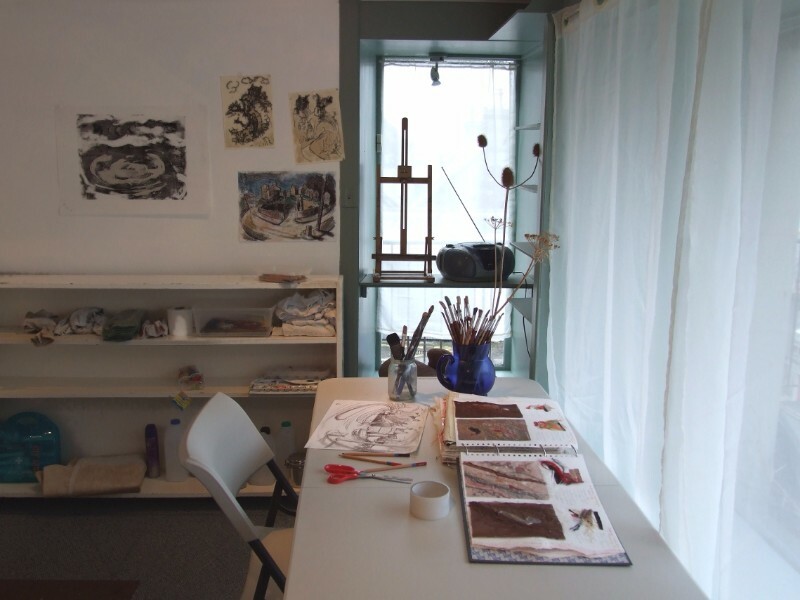 The High St Studio is also available to hire to working artists or groups of any kind. “The Creative Retreat is the best value art holiday I’ve found to date. They are there for you, helping and encouraging all the way, and at the same time letting you get on with your own project. I have always found it thoroughly enjoyable”. 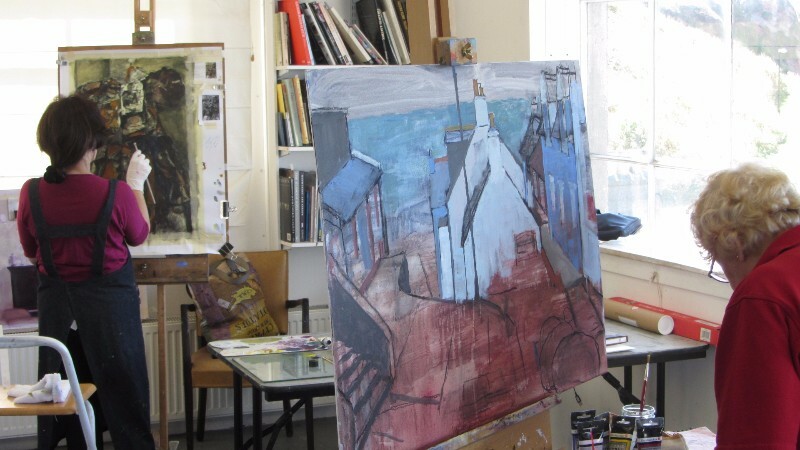 Since 2005 The Creative Retreat has offered a varying programme of visual art holidays including painting, drawing, lino printing, abstract art, landscape and materials-based workshops, all led by experienced and empathetic tutors. We run a combination of one/two day sessions and week-long residentials where guests stay in one of our charming self-catering holiday homes in the village. 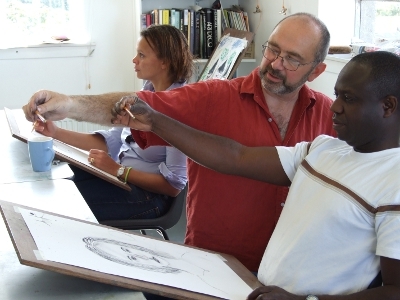 Art holidays are geared to our guests’ individual needs with lots of one to one contact with the tutor. 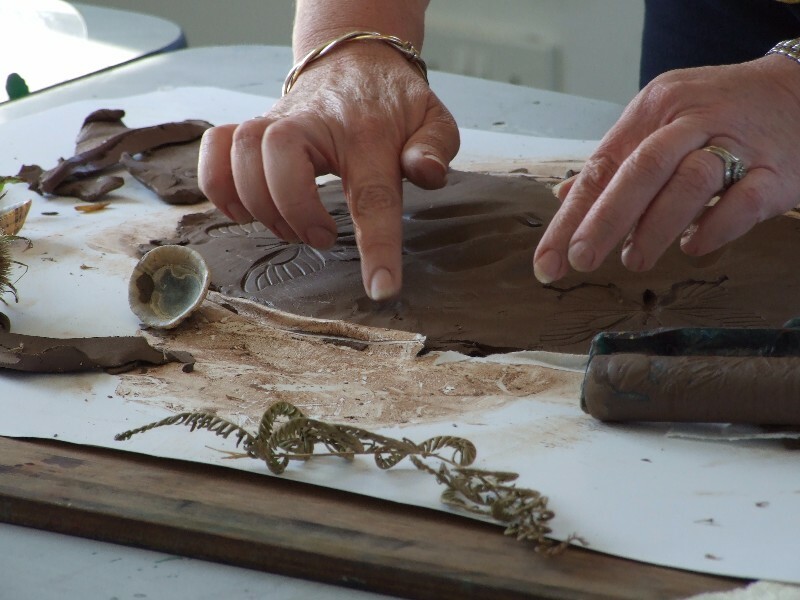 There are demonstrations of technique and materials, and plenty of time for exploring new ways of working, or re-engaging with old ones. 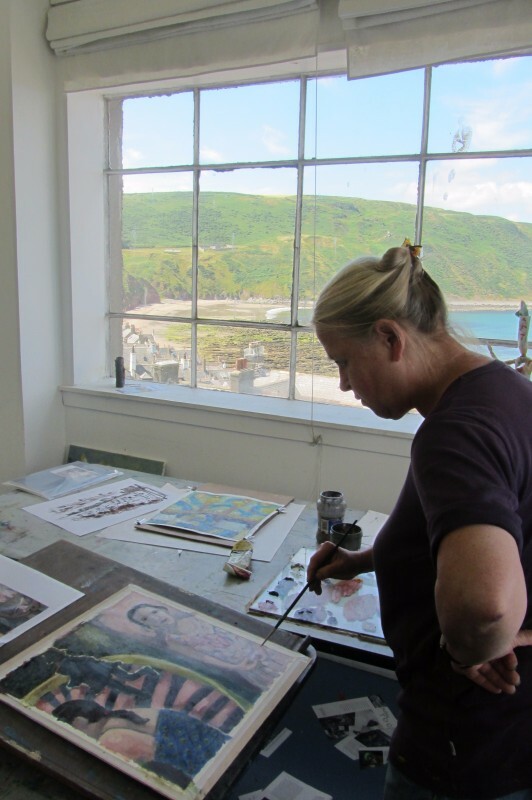 The studio has windows on three sides with views over the village rooftops to the cliffs and sea, and is only a few minutes walk to the beach. 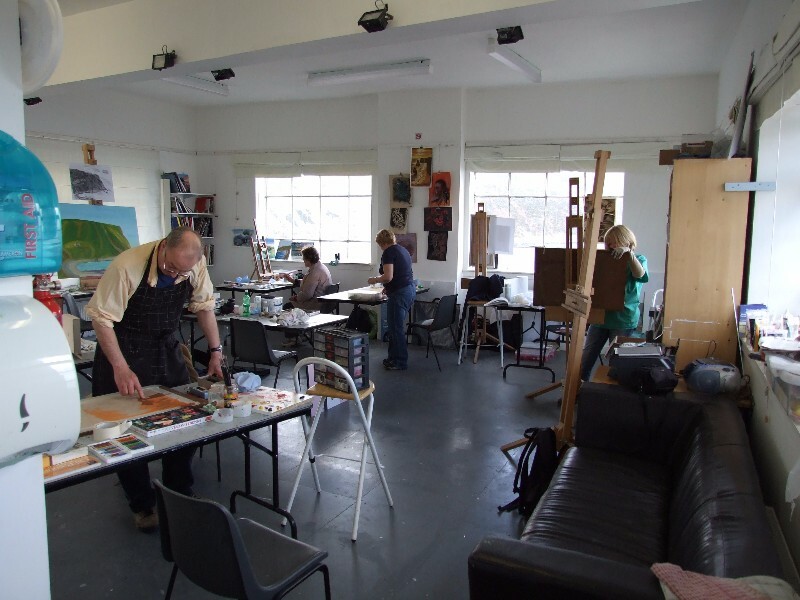 We also hire out the studio throughout the year to artists and groups. Facilities include easels, tables, drawing donkeys, basic art equipment, kettle, lots of mugs, fridge and wc.